We offer a ever growing range of techniques and including various aspects of chromatography, spectroscopy and traditional wet chemistry. As of Autumn 2014 now have the use an Electron Microscope and this is proving very useful to our clients. Apart from morphology we also use this for an approximate elemental composition (like XRF, this is dependent on the matrix). Examples include: Soxhlet Extraction, SPE (solid phase extraction), Millipore Filtration, ISO 5509 (prep for fatty acid profiles). 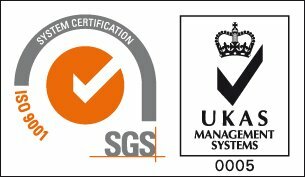 Examples include: Boiling range and profile of petroleum products, Identification of fatty acid methyl esters: animal and vegetable fats and oils. Determining the presence of ‘Smoke Taint’ compounds in foodstuffs such as vegetables. We can also change from Mass Spectrometer Detector to a Flame Ionisation Detector (FID) as required by different methods (see above). 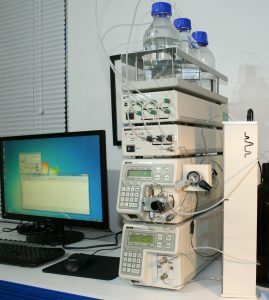 We have two GC-MS systems, one of which includes an auto-sampler. 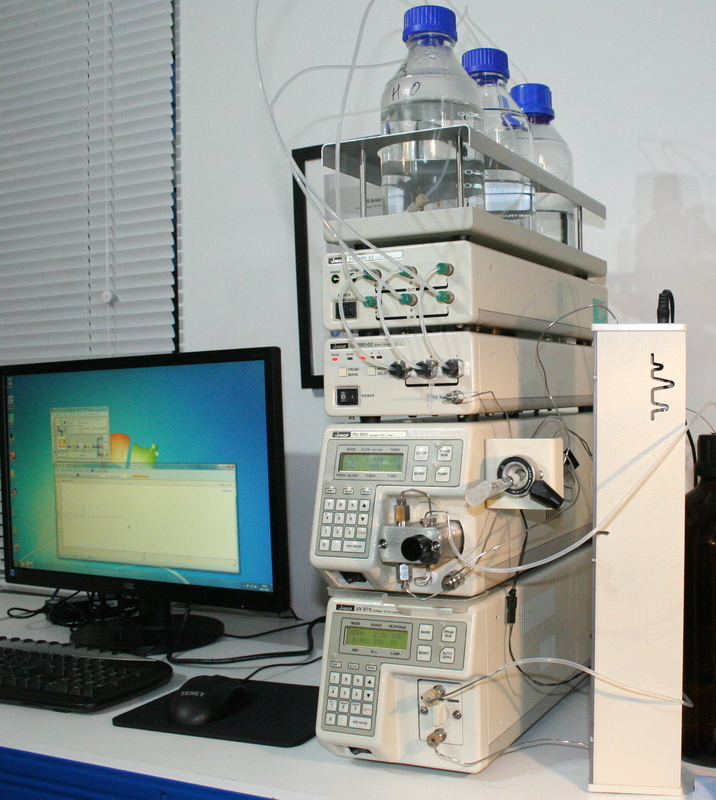 In December 2017 we acquired our first HPLC. 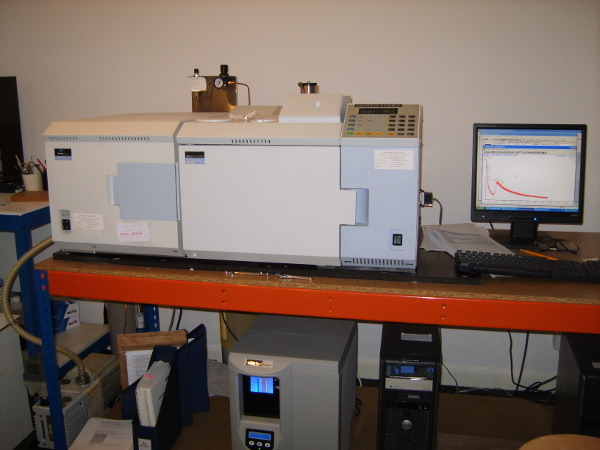 It is currently using a UV detector and has a ternary gradient capability as well as a column oven thus providing high level of customised chromatographic conditions. The HPLC allow SMS to provide additional methods include dyes in diesel fuels, Poly Aromatic Hydrocarbons (PAH) in foods and can be further expanded with alternative detector modules (Fluorescence, Conductivity, etc. ) in the future. Example include: Identification of middle distillate instability products, Analysis of lubricant additives, Analysis of phenolic antioxidants and phenols in aviation fuels. Examples include: IP463 presence of phenalenes & phenalenones (sediment precursors) in middle distillates, UV transmission of chemicals including glycol and amines. Quantification of amines, alkanolamines and indoles. Examination of a wide range of organic materials including polymer foams. 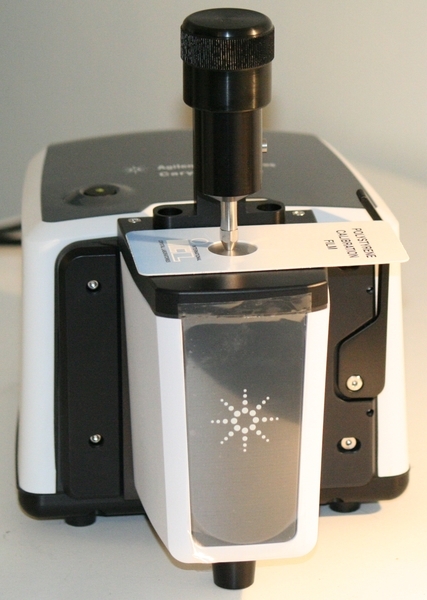 Use of a new sensitive diamond ATR for very small sample quantities. Examples include: Chloride – Mohr’s method, IP139: colorimetric method for total and strong acid numbers, total base no in light-coloured petroleum products, ISO660 Animal and vegetable fats and oils: Determination of acid value and acidity. We have our own microscope with a camera attachment so can characterise the morphology of samples. 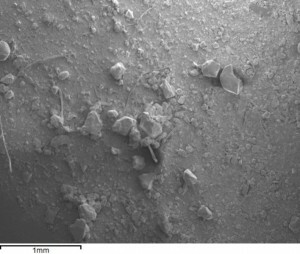 Scanning Electron Microscopy optionally with Energy Dispersive X-Ray (EDX) to give elemental composition with optional elemental mapping.